In order to keep everyone safe, no matter what device they are using in any part of the world, enterprise-level emergency notification solutions had to evolve to include any and all communication channels. Only a modern system can give organizations and employees peace of mind that they are protected and will be informed should an emergency or significant event occur. AlertMedia, a 2017 ‘ASTORS’ Homeland Security Award Winner, has been selected as a Finalist in the 2018 ‘ASTORS’ Homeland Security Award Program. AlertMedia’s mass notification system has led to a monumental shift in how organizations communicate during critical events. And not just major events like inclement weather, office closures, and active shooters, but any event that potentially impacts people safety or business continuity. With an accessible, easy-to-use, mobile-friendly system that focuses on the audience, AlertMedia has empowered enterprise customers such as DHL, The Salvation Army, British Petroleum, Volkswagen, and Greyhound to easily send and receive unlimited messages with their audience via multiple channels. AlertMedia’s robust platform provides customers in more than 90 countries with a modern communication experience including multi-channel delivery, geo-targeted alerts, a flexible API, two-way communication, and a powerful mobile app. But unlike many other mass notification providers, AlertMedia does not sacrifice ease of use to include these cutting-edge features. AlertMedia’s modern interface is simple, intuitive, and easy to learn. Text, phone call, email, social media, mobile app push, intranet, desktop takeover, Slack, Twitter, Facebook, and any number of unlimited custom channels. You can send messages simultaneously over all channels or elect to cascade your messages from one channel to the next until message receipt is confirmed. AlertMedia integrates with any accessible system so our customers reach their audiences anywhere and everywhere. All messages sent through AlertMedia allow for two-way communication, meaning recipients can respond to any message sent. These responses can include long-form messages, read confirmations, and survey responses. Your people can also request help, share their location, and submit updates from the front line, helping you better protect them and manage an event to a successful outcome. In a crisis, decisions need to be made—quickly. But there is often little time for the steps which precede a typical conference call (scheduling a meeting, sending out a link, notifying members of a dial-in, etc.). The AlertMedia conference call feature removes these unnecessary barriers and allows decision-makers to get in contact as quickly as possible. From the AlertMedia portal, the person calling the emergency conference call simply enters the group needed on the call, clicks send, and the system will immediately begin to dial the phone numbers of everyone on the call, adding them to the conference call as they pick up the phone. Event pages provide your employees a single webpage to find the most up-to-date information on the event, without having to send a new notification with each new development. Notifications help coordinate people during events—whether that event is severe weather, a wi-fi outage, an active shooter, or something else. Many of these events transpire over the course of several days, requiring you to send multiple notifications alerting your people to the most current status. Too many notifications, however, carries the risk of notification fatigue—diluting the impact of individual messages because employees are so accustomed to receiving them. On the event page you can post updates, answer questions, and upload valuable continuity information (such as emergency response plans, photos, and video) as the event transpires. Event pages can even be managed on the mobile app, making it possible for a security professional to manage the full cycle of an event—progression to resolution—without having to be at their desks or on their laptop. While our mass notification software can be easily accessed through a web browser, we know emergencies do not always occur when you’re behind a desktop computer. The AlertMedia mobile application provides our administrators nearly every feature included within the desktop version in an easy-to-use, native mobile app experience. AlertMedia provides stellar customer service. We put our customers first from day one, walking them through a simple onboarding process that can get them up-and-running within hours of signing—sometimes even in under an hour for companies with storms breathing down their necks, who need to start communicating with their people immediately. Exceptional Customer Support and Industry-leading NPS: Each AlertMedia customer is given a dedicated customer success manager, as well as a 24/7 hotline for immediate assistance. The result is the highest customer satisfaction metrics in the industry: an NPS score of +68 (+71 in Q2 of 2018) and a 98% customer satisfaction rate (100% in Q2). AlertMedia does everything we can to make the onboarding process as painless as possible. AlertMedia is the world’s fastest-growing emergency communication provider. In five short years, AlertMedia has grown from 0 to nearly 1,000 customers in over 90 countries. We’ve at least doubled our revenue year-over-year and are on track to have 1,200% revenue growth in 2018 over the last three years. Each day, we are helping more companies communicate with their employees during critical events. Read more about AlertMedia’s robust mobile application. KVUE Feature on AlertMedia: In anticipation of Hurricane Florence, companies flocked to AlertMedia to prepare for the storm. Read about AlertMedia’s robust feature set. Rockland Trust Case Study: See why Rockland Trust Bank chose AlertMedia. As an ‘ASTORS’ competitor, AlertMedia is competing against the industry’s leading providers of Innovative Mass Notifications and Mobile Technologies. 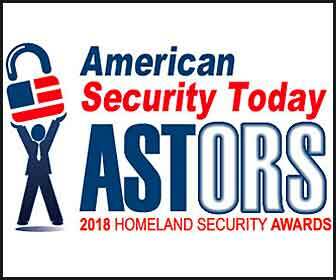 Good luck to AlertMedia on becoming a Winner of the 2018 American Security Today’s Homeland Security Awards Program! To Learn More about how AlertMedia helps enterprise organizations securely and effectively monitor threats, streamline notifications, and improve employee safety across more than 90 countries around the world, please visit https://www.alertmedia.com/.